There are a few ways where an individual fingerprints are “captured” (ie Live Scan, Electronic Fingerprinting) and submitted into law enforcement agencies databases. For the purpose of this article we will talk about the FBI Applicant Fingerprint Cards FD 258 (Ink Fingerprinting). So why write about the “old ways” of (ink) fingerprinting? Well let’s summarize… Yes, it’s sometime viewed as “old School”, BUT it is not going away anytime soon. Let’s read on. There is tremendous demand identity verification and criminal history background ground checks. This can be done via Live Scan; however do to plethora of governmental bureaucracy obtaining individuals fingerprints on FBI Applicant Fingerprint Cards FD 258 may be best and/or only alternative. Yes folks, even in this highly advance world, old fashion paper and ink are still widely used, even for fingerprinting. There are different variances of the FBI Applicant Fingerprint Cards FD 258 with the most often difference being the information pre-printed in the “ORI” field by the Requesting Agency. The “ORI” stands for the “Originating Agency Identifier Code”. Basically, it’s the agency that is requiring the applicant to get ink fingerprinted. Another could be the descriptive data fields layout (name, date of birth, race etc.). The National Live Scan Association (NLSA) has designated ink fingerprinting locations that provide FBI Applicant Fingerprint Cards (Ink Fingerprinting). FBI Applicant Fingerprint Cards FD 258 is the standard FBI ink fingerprinting card used by the FBI, Bureau of U.S. Citizenship and Immigration Services (USCIS), and many law enforcement agencies for non-criminal fingerprinting such as for FBI Police Clearance Certificate in USA, domestic and international employment clearances, or immigration purposes. If you’ve been asked to submit ink fingerprints, than more than likely the FD 258 Fingerprint Cards (FBI Fingerprint Card) is the correct card. When filling out your FBI Applicant Fingerprint Cards FD 258 be sure to complete all the required fields, this includes your full name, date and place of birth, physical description, social security number, and mailing address. Be sure to use black ink only when completing the descriptions fields for the FBI Applicant Fingerprint Cards FD 258. Those seeking to purchase FD-258 Ink Fingerprinting Cards can visit www.FD258.net or call 888.498.4234 to learn more. Where to get Fingerprint Ink Cards has become the common question for most of us. Typically one would think to go straight to the local law enforcement agency. However, this is not the case, applicants found out that the majority of law enforcement agencies and other fingerprinting agencies do not carry fingerprint cards for the general public. If this is the you can purchase the FBI Applicant Fingerprint Cards FD 258 by visiting www.FD258.net. California Live Scan Centers is not only an approved and certified Ink Fingerprinting facility for the National Live Scan Association (NLSA), but one of their regional corporate training centers. In conjunction with our advance training can certification in the biometric industry, our clients find it beneficial to receive Ink Fingerprinting services on-site with little wait time, if any. Add another qualification to your many skills, have a side business in fingerprint scanning. You do not have to go anywhere to earn your certificate in fingerprinting, sit at home and get your qualification through National Live Scan Association’s (NLSA) Online Live Scan Fingerprinting Courses (http://LiveScanClassesOnline.com). Our industry specific course has been created by experts of the field. Our comprehensive course includes all aspects of fingerprinting business. We are the industry leaders in Live Scan Fingerprinting Training and educational development. Live Scan is the digital way of capturing fingerprints. While Ink Card Fingerprinting captures an applicant fingerprints utilizing “paper and ink”. 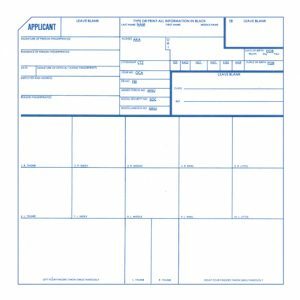 Either way, once fingerprints are captured and electronically converted (“digitized”) the prints are sent almost instantly to the concerned federal or state agency. Our instructors are certified and approved by the NLSA, FBI, CAL-DOJ, FDLE and/or other Law enforcement and private agencies. By completing our online Live Scan Fingerprinting courses, the certificate(s) that you will earn with National Live Scan Association will allow you to become a member of the NLSA and will enable you to fingerprint individuals and then electronically transmit the fingerprints to the concerned agency. When you attend our online fingerprinting courses, and successfully complete them, you will be awarded a certificate that is authentic and approved, which will help you start-up your business as a fingerprint roller immediately. The instructors for our online Live Scan Fingerprinting courses are experts in their field with extensive training and experience behind them. Most of our instructors have been involved in Live Scan businesses as owners or managers, before becoming instructors with us. Some continue to provide Live Scan and Ink Card Fingerprinting even as they instruct. Study in Your Own Time – With our online fingerprinting courses, you will never have to look at the clock, or juggle time. You can study at your convenience, whenever you have time to spare. Self-paced Learning – You can study as much or as little as you want. If you have extra time on weekends, use them to put in extra study time to compensate for the weekdays when you do not have the time. Take as long as you want to finish the course. The choice of how quickly you want to learn is yours. Save on Cost – You do not have to travel to go to a place for your class, you do not need to dress up in a particular way to attend your classes, and you do not have to pay the overheads for an online class as you would have to for a regular class, hence online courses are much cheaper. Connect to Other Fellow Students – You are not alone when taking online fingerprinting courses, there are many others from across the country or even the globe who are in the class with you. You can connect and share views with other students. Members of the National Live Scan Association provides Live Scan Services to applicants throughout California and other states. If you want to learn more about NLSA Online Live Scan Classes and its benefits, contact us at (888) 498-4234, or visit http://LiveScan-Classes.com. The NLSA Online Live Scan Classes are here folks! The National Live Scan Association (NLSA) is in the final stages of their anticipated Live Scan Fingerprinting online training programs. A few of us were able to get a sneak peek of the long-awaited online training platform. Rest assured, NLSA Online Live Scan Classes provides the flexibility and convenience of self-paced training in the comfort of one’s office or home. These NLSA Online Live Scan Classes and other related specialty courses can be delivered in a variety of media types; basically accessed at any time from your PC, most cell phones and/or tablets. In the near future, NLSA Online Live Scan Classes (http://LiveScanClassesOnline.com) will also include pre-recorded and live streaming special events and programs. NLSA Online Live Scan Classes and Certification Programs Available! This is a NLSA Level II Curriculum course. Home based business opportunity! Savvy business owners understand utilizing Mobile Fingerprinting Business can be easily placed in the categories of efficiency and cost-effective. Along with the Mobile Live Scan Business opportunity, other rewarding National Live Scan Association programs allows participants to get a new perspective on leveraging creativity and creating opportunity. Learning how to effectively build your Mobile Live Scan Fingerprinting Business is a smart choice. When registering for multiple participants, please provide us the names of ALL attendees as soon as possible. Please visit our General Information section to learn more. To register by phone or for additional information, contact us today at (888) 498-4234. The National Live Scan Association (NLSA) is introducing several new Certified Live Scan Fingerprinting workshops and online courses. One of the newest and most popular workshops focuses on the mobile live scan business opportunity. NLSA’s Mobile Fingerprinting Business workshops uniquely addresses the growing demand for mobile “on-site Live Scan fingerprinting services. Successful small and large business understand that utilizing mobile Live Scan fingerprinting businesses can be easily placed in the categories of efficiency and cost effective. Want to learn more about the mobile Live Scan business opportunity? Our NLSA Certified Live Scan Instructors will share real time experiences, insights, and tangible expertise. 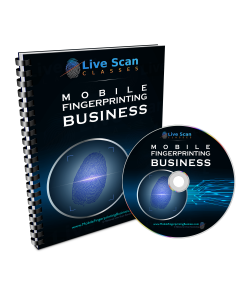 From brand identity, to data analytics, 21st century marketing campaigns and beyond, learn how to effectively grow and develop a successful mobile Live Scan fingerprinting business, and in turn, additional income. National Live Scan Association takes a proactive role in the development and enhancement in Live Scan Certification Classes, Biometrics Training programs. Workshops participants learning more about the mobile live scan business opportunity are specifically designed; providing workbooks and reference materials to reinforce state and federal policies along with industry best practices. In addition, extensive hands-on training and practice sessions are implemented to enhance technical skills and knowledge. Along with the mobile live scan business opportunity, other rewarding National Live Scan Association programs allows workshop participants to get a new perspective on leveraging creativity and creating opportunity. The National Live Scan Association (NLSA) is introducing several new Certified Live Scan Fingerprinting workshops and online courses. One of the newest and becoming one of the most popular is the Mobile Fingerprinting Business Workshops. The demand for “On-Site” Live Scan Fingerprinting services continues to grow. Successful small and large business understand that utilizing Mobile Fingerprinting Business can be easily placed in the categories of efficiency and cost-effective. NLSA Certified Mobile Fingerprinting Business Workshops are now being offered in West Los Angeles (Culver City), CA, and other great cities. Savvy entrepreneurs know that it isn’t often that a great business opportunity will blossom in front you. When it does, it is generally agreed that those better positioned early on enjoys the greatest rewards. NLSA Mobile Fingerprinting Business Workshops are full day events, so please be prepared to roll up your sleeves and get to work. Learning how to effectively build your Mobile Fingerprinting Business is a smart choice. The National Live Scan Association also provides other workshops in West Los Angeles (Culver City), CA. Upcoming NLSA Certified Mobile Fingerprinting Business Workshops in West Los Angeles (Culver City), CA, and other events can be found by visiting online at http://www.livescan-classes.com/events/locations. Live Scan Fingerprinting is used to reveal criminal history information for identification, employment and licensing purposes. It matches fingerprints and other identifying information to existing data files for an individual. As use of this technique becomes more widely used, Live Scan Fingerprinting will reduce the need for the older process of applying inked fingerprint impressions on a card. Live Scan Fingerprinting electronically scans and transmits fingerprints to the California Department of Justice (CAL-DOJ) and the Federal Bureau of Investigation (FBI) via a specialized computer terminal. In the state of California, the governing agency is the Department of Justice. The National Live Scan Association provides specific training catering to those excel as CAL-DOJ Certified Fingerprint Roller. The Corporate Training Office for the National Live Scan Association is based in West Los Angeles (Culver City, CA). Attending a NLSA event is an essential first step to success. Members of the National Live Scan Association provides Live Scan Services to applicants throughout California and other states. With the increase of Live Scan Fingerprinting regulated requirements, there is steady growth of demand for safety and security services in areas such as the medical and insurance professions, child care and adoption agencies, DMV occupational licensing, and personal record reviews used by Human Resource Departments in many companies. For details and options on upcoming NLSA Live Scan Classes and other special events visit http://LiveScan-Classes.com/workshops or call 888-498-4234. NLSA Certified Mobile Fingerprinting Business Workshops are now being offered in Oakland, CA, and other great cities. Savvy entrepreneurs know that it isn’t often that a great business opportunity will blossom in front you. When it does, it is generally agreed that those better positioned early on enjoys the greatest rewards. NLSA Mobile Fingerprinting Business Workshops are full day events, so please be prepared to roll up your sleeves and get to work. Learning how to effectively build your Mobile Fingerprinting Business is a smart choice. The National Live Scan Association also provides other workshops in Oakland, CA. Upcoming NLSA Certified Mobile Fingerprinting Business Workshops in Oakland, CA, and other events can be found by visiting online at http://www.livescan-classes.com/events/locations. Live Scan Fingerprinting electronically scans and transmits fingerprints to the California Department of Justice and the Federal Bureau of Investigation (FBI) via a specialized computer terminal. In the state of California, the governing agency is the Department of Justice (CAL-DOJ). The National Live Scan Association provides specific training catering to those excel as CAL-DOJ Certified Fingerprint Roller. For details and options on upcoming NLSA Live Scan Classes go to http://LiveScan-Classes.com/workshops or call 888-498-4234.